SMPTE announces its 2016 Honors & Awards Recipients. The David Sarnoff Medal Award recognizes outstanding contributions to the development of new techniques or equipment that have improved the engineering phases of television technology, including large-venue presentations. The award will be presented to Peter G.M. Centen (Grass Valley VP R&D, Cameras) in recognition of his work in image sensors, imaging, and broadcast camera innovation. 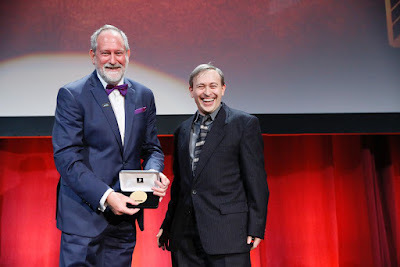 Centen has been at the forefront of the CCD and CMOS sensor technology, and in 2003 he was awarded an Emmy for the development of high-definition dynamic pixel management (HD-DPM) for CCD sensors. This is great! Congratulations Peter! I do know Peter for many, many years. In the past as a customer of our CCDs, as an imaging colleague afterwards. Great person, great engineer ! Well deserved. Congratulations to Peter and his team.